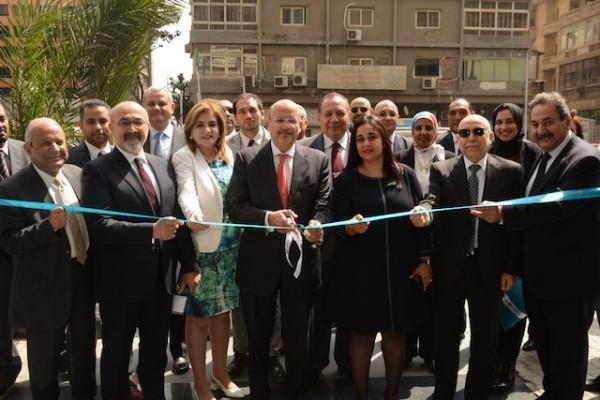 (MENAFN - Daily News Egypt) Chairperson and Managing Director of Suez Canal Bank, Hussein Refaei, inaugurated two new branches of the bank, bringing its branch network to 43. The bank's first branch was opened in Dokki district in Giza, and the second was in Glim district in Alexandria. This is part of the expansion plan adopted by the bank, which aims to intensify its presence across the country. According to Refaei, the opening of new branches reinforces the strategy of the Suez Canal Bank which aims to reach out to new customer segments. It is also in line with the Central Bank of Egypt's financial inclusion initiative which aims to increase confidence in the services provided by the banking system, and implement Egypt's Vision 2030 for sustainable development. The Suez Canal Bank also seeks to increase its loan portfolio of small, medium, and small enterprises so as to include marginalised groups, highlighted the bank's chairperson. 'This will support the country's plans to provide more employment opportunities for the youth and women, especially in remote areas, hence achieving development and improving the income levels of individuals in order to eliminate unemployment and poverty,' he explained. In conclusion, he noted that such indicators have reflected on the bank's net profits during the past two years, recording EGP 420m in 2018, up from EGP 210m in 2016.